This dressing is really stinkin’ good. That’s all I have to say. Except that after taking this photo, I ate this entire plate of veggies (though I detest cucumbers) and almost all of the dressing. It’s really good. Really. *note that all spices/herbs listed below are dried. If substituting fresh, use the rule 1 part dry = 3 parts fresh. Beat the mayo and buttermilk until smooth, then stir in the remaining ingredients. Refrigerate at least overnight to allow the flavors to develop. 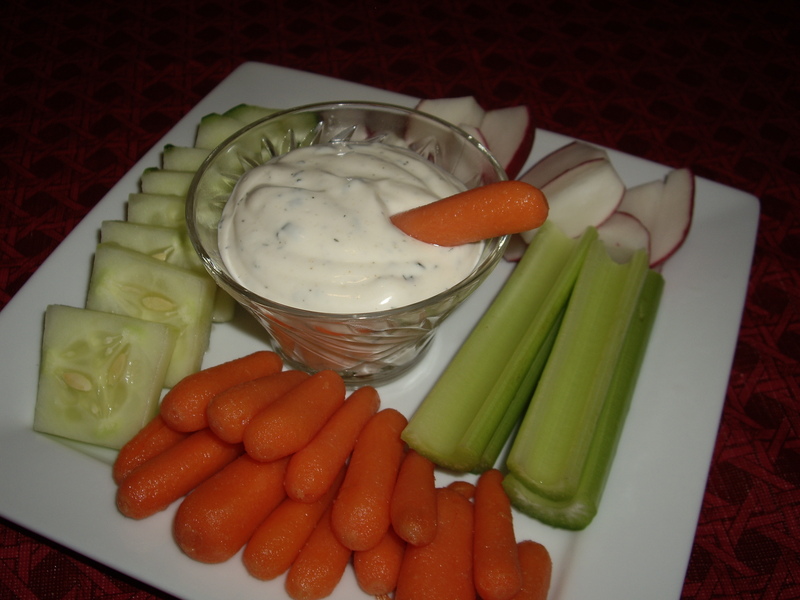 Posted in Condiments & ETC., My Favorites and tagged buttermilk, dressing, easy, ranch. Bookmark the permalink. I’m not laughing–I’m crazy for this stuff too! The sugar is a good idea–I’ll try that.